Negrych has been traded to the Marlins. 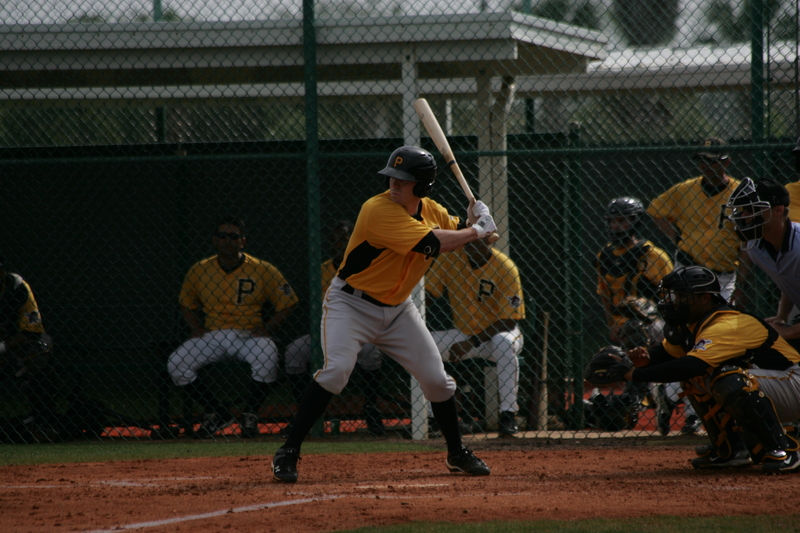 Pittsburgh Pirates’ infield prospect Jim Negrych has been traded to the Florida Marlins, according to Cory Giger of the Altoona Mirror. Giger reported earlier this week that Negrych wanted to either be promoted to AAA, or released. Negrych is definitely deserving of a spot in AAA, as he put up a .295/.372/.416 line in 166 at-bats last year. That followed a .274/.366/.361 line in 230 at-bats in Altoona. However, his defense has never been strong, and he lacks power, which limits him as a bench or utility player. The Pirates have a few players competing for bench spots in AAA, with Pedro Ciriaco serving as a utility player, Andy Marte still in the system, and Corey Wimberly also competing for playing time. Brian Friday is also in the infield mix, and the Pirates potentially have Chase D’Arnaud, Jordy Mercer, and Josh Harrison competing for starting time. That crunch is basically what forced Negrych out of the system. 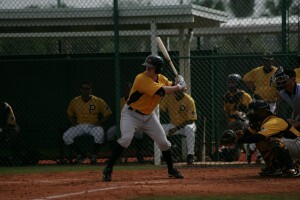 In return, the Pirates got 21-year-old catcher Carlos Paulino, who played in low class A in 2010. Paulino hit .293 in short season ball in 2009, but batted only .182 last year. Good luck to Negrych. He is a solid hitter but no field, no speed, no power…I don’t fault the Bucs for getting rid of him because they really don’t have a spot for him at Indy. You’d like to see them get someone a little better but who knows, maybe this catcher has more hitting updside than he’s shown. Jim also has shown a good ability at drawing walks and limiting k’s, its a shame. Sooo wack! Negrych has showed a good ability for hitting for avg his whole minor league career, and we get someone who hit below the Mendoza line in the MINORS last year, this trade is definitely being chalked up as a loss in my eyes.